Though America’s population has shifted more and more towards the west coast over the past hundred years, the east coast is by far the most populous area of the country. Forty-seven percent of us live in the eastern time zone and an additional 33 percent of us live in the central time zone; nearly 80 percent of the population lives east of the Mississippi River. Those familiar with traditional “Earth at Night” photographs could easily come to this conclusion without raw data by just simply observing the major light discrepancy between the east and west; the line just happens to be drawn roughly at the Mississippi River. Dark Sky Finder shows why this data is important in terms of night sky observation. Generally speaking, especially within an industrialized country, population and light production are directly correlated. As a fan of geography, history, and maps I have always found the continuing relevance of the Mississippi River as a population divider to be extremely fascinating. Historically the Mississippi River served as the divide between the civilized country and the frontier – crossing the river was literally crossing into a desolate and ungoverned land. Though over the past several decades we have made a major transition from east coast to west coast/south, the Mississippi still serves as a stark line between population and desolation. As someone who is legally blind without my glasses, I can say that when I look at my Earth at Night poster, sans glasses or contacts, the entire eastern half of the country is bright and the entire western half is completely dark; the line that was drawn between civilization and frontier in the 1800’s still exists today. Blurred vision makes the population discrepancy incredibly apparent. Obviously the west isn’t frontier in the traditional sense, but our original demarcation for populated areas vs. rural areas is still completely relevant. The site Dark Sky Finder transforms this population data into light pollution data. After a quick glance at an Earth at Night image one would clearly come to the conclusion that more light pollution exists in the eastern half of the county than the western half. But Dark Sky Finder shows the startling extent of this pollution. If you live in the eastern time zone and you want to see clear sky free from light pollution, good luck. 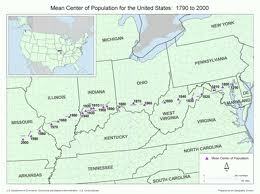 You can visit a small portion of West Virginia, Northern Maine, or pockets of the Deep South. Everywhere else is tainted with light. Even if I venture 200 miles from Athens, GA I won’t see a true night sky. This means that many people who live on the east coast have never actually seen the night sky. They haven’t seen the brilliance of the Milky Way or anything close to the actual appearance of the night sky. Even those on the west coast who live in major cities may not have seen the night sky in the way nature intended. Luckily a vast portion of our land is free of light pollution and there are options for us to observe the night sky unobstructed, but travel is involved. Cities and communities can take steps to reduce light pollution in order to provide residents with a better view of the stars. The many reasons why we desire light at night – safety being a big one – can be balanced with our desire to experience a brilliant night sky in our own backyards. 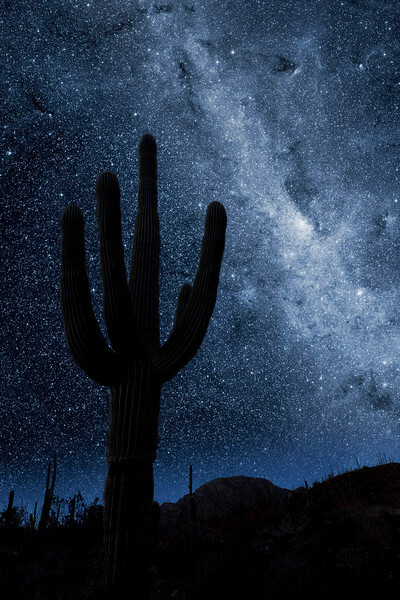 Tucson, Arizona is a great example of how a large American city (over 500,000 people) can promote dark skies while also allowing needed and desirable artificial light. The Dark Sky Association, a group devoted to making urban areas more friendly to star gazers and headquartered in Tucson, led a movement that successfully convinced city officials and business of the benefits of reduced light pollution. Significantly, the police recognized that glaring lights used for safety can be just as, or more effective if pointed directly at the ground instead of at a general area. Half of the energy used to light a general area is completely lost; it’s inefficient to point a light in a general area when you can achieve the same purpose by pointing it at the ground. Given this information, our country wastes over $10 billion a year in ineffective lighting. 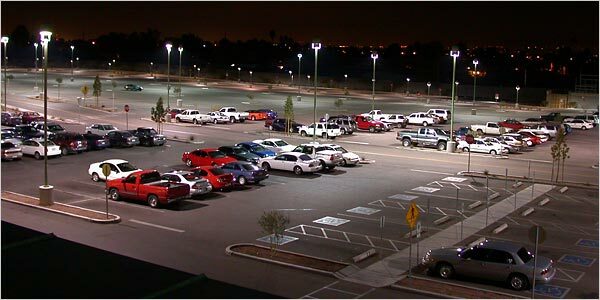 Regulations that limit outdoor lighting can be found in over 30 states, but Tucson proves that more stringent standards can produce a great result. Tucson is one of the only cities in the country to use land use controls to limit lighting by the acre based on type of use (residential, commercial, etc.). This limitation, coupled with regulations aimed at directing light towards the ground (and not the sky) and wattage and types of bulbs used, can have a dramatic impact. 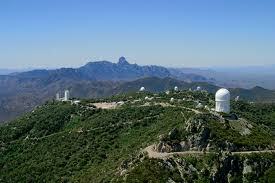 While Tucson’s Pima County has more than doubled in population over the past 20 years, the light pollution at nearby Kitt Peak (a major national observatory) has remained constant! We can achieve all the purposes of light at night while also satisfying our desire to see stars and reduce wasteful spending. Sensible land use regulations have proven to be popular with municipalities, police departments, businesses, and resident; communities across the country, especially on the east coast, should consider looking at Tucson and other cities for model examples of regulation. 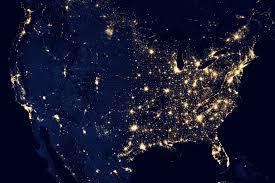 Please watch “The City Dark,” a spectacular documentary about land use regulations and light pollution. The City Dark is now available on Netflix streaming.